Rare employee Gregg Mayles is at it again, giving us even more tasty insights into the makings of the Donkey Kong Country franchise. Earlier today, Mayles shared a list of the original names for Donkey Kong Country's characters and even the game itself, including the recent addition to the Super Smash Bros. Ultimate roster, King K. Rool. Now, he's shared some early concept art designs with the world and they're all rather lovely (in a scary way, of course). As you can see from his tweet below, Mayles explains that these early concepts come from a time where King K. Rool was intended to be much more serious looking - and have yet another name, 'Krudd' - alongside a military theme which was eventually scrapped. All of this is getting us even more ready and excited for the characters' inclusion in Super Smash Bros., while simultaneously making us want to boot up our SNES Minis for another run through of the original game. Who'd have thought King K. Rool would be back in the news in 2018? Lovely stuff. Are you a fan of the Donkey Kong Country series? Let us know what you think of these designs with a comment below. I love seeing this stuff. I'm glad we got what we did. Rare's cartoony style is so charming and kinda muppetish. 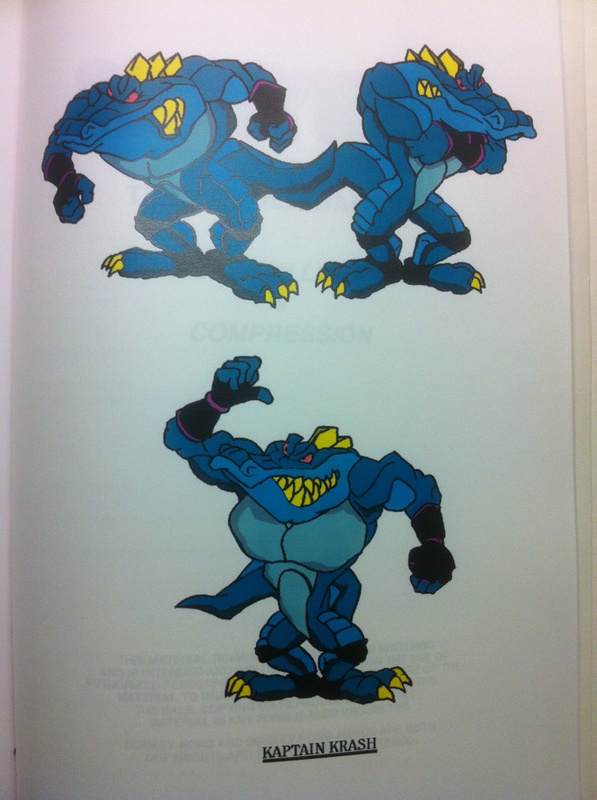 You can see they took a lot of visual aesthetic and level influence from Battletoads, now that I think on it. Awesome stuff. I love Rare’s old work. At first I thought Krool's cape in the first picture was hair. Not just any hair, but Guile's hair. I love King K. Rool and always have. I believe DKC was the first game I ever played (and possibly beat). I’m glad they went with the final design they did. He’s honestly probably my favorite Nintendo villain along with Cackletta (who’d also be great in Smash). He’s kind of bumbling and funny similar to Wario/Waluigi/Bowser and I love that. He’s at his best in DK64 but all his appearances are great. I just love the character and want to see him come back as DK’s rival. The Kremlings are great characters and while the recent DKR games are fantastic, they’ve felt a little unsatisfactory to me due to the lack of a certain crocodile gang. Come on Retro - we need DKCR3 with the King. I’m so incredibly happy he is finally playable in Smash. I can’t wait to main him. I much prefer the final design. He’s very goony looking and I think that sets him apart from other villains. And I’m loving the sudden popularity of K. Rool. 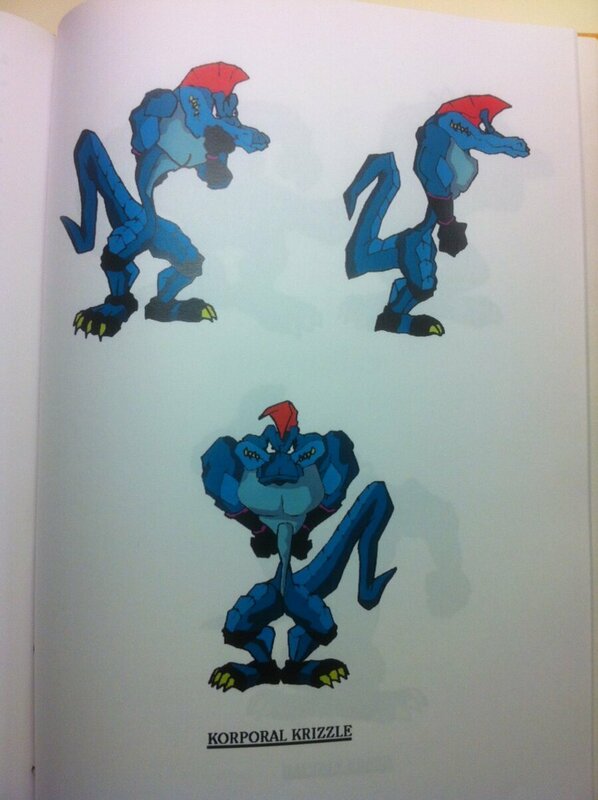 Here’s hoping he resurfaces in a future DKC game, preferably developed by Retro. It's been said by another ex-Rare member of staff (maybe Kevin Bayliss?) 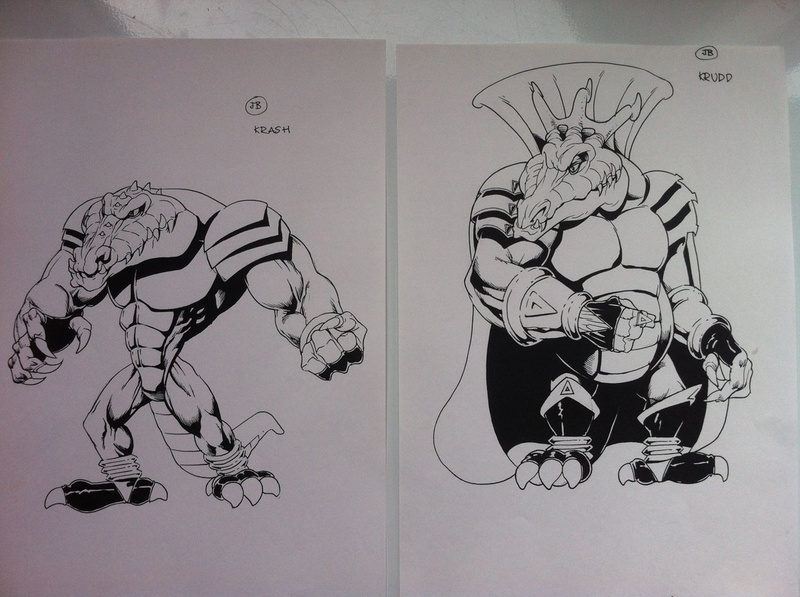 before on Twitter that the concept art of Krash and Krudd originates from the development of a Battletoads title, but Gregg has stated that it actually comes from a game that was never officially announced called 'Jonny Blastoff and the Kremling Armada'. It was only later that they were shifted to be the enemies in Donkey Kong Country. These are stuff they need to include on an anniversary collection or something. I would be interesting to see more. They dropped the military theme? Then what about Klump and Krusha? And this is why you iterate. Interesting to see that one close to what we got where the crown was just a natural crest on his head. Jesus, Korporal Krizzle! What happened to your entire mid-section? I'd go see a doctor ASAP if I was you! Man I love DKC. The kremlings were the koolest! They should bring back the King for the next installment in the DKC franchise. @justin233 I agree with your whole post. The original DKC trilogy is one of the first games I've played and they still are a joy to play. The final enemies were all great. I've always missed them and the animal buddies in DKCR and DKCTF. Funny how King K. Rool turned into of the best villains ever. @Samuel-Flutter True, nothing more military than Klump.